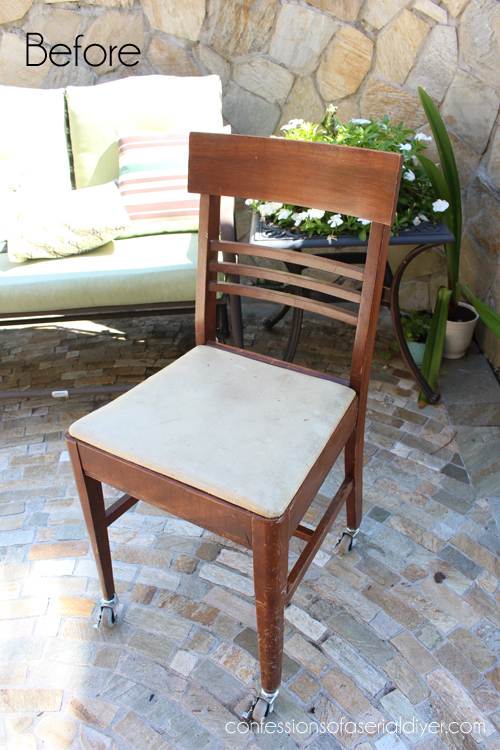 I found this sad little chair at a yard sale for $5. There wasn’t anything exciting about it and I almost bid it a good day when the owner appeared to show me that it had a secret compartment. Ooh a secret compartment?? Like Top Secret?? Intriguing. And can you see the secret compartment? How cool is that? I have never seen a chair with a secret drawer. Of course the addition of this pretty knob kind of makes it not-so-secret, right? 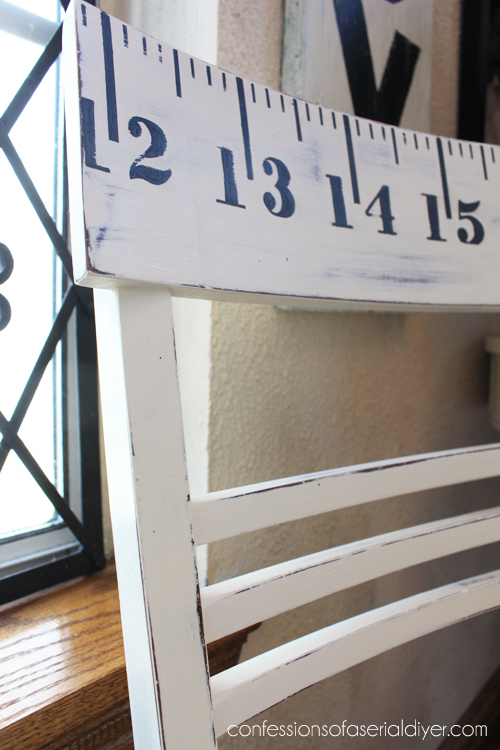 I’m only guessing what it’s purpose was, but going with the idea that it was a sewing chair, I added a measuring tape to the back…perfect for a number themed furniture makeover! Um. ya. tedious. I tried to use a paint pen originally and then I remembered why I thought they were worthless. I finally decided to tape it off with my swag bag frog tape (it’s my favorite!!). I used this method to add the numbers. 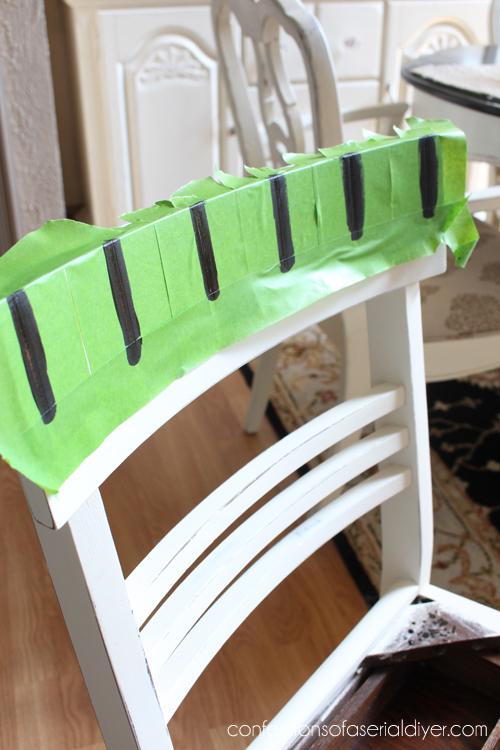 Then I gave the chair a decent sanding and sealed it with clear wax. It fits right in in my dining room. I think the large numbers are very playful! Wouldn’t this be fun in a craft room?! 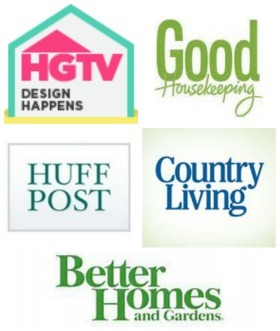 Follow their links below to see more! 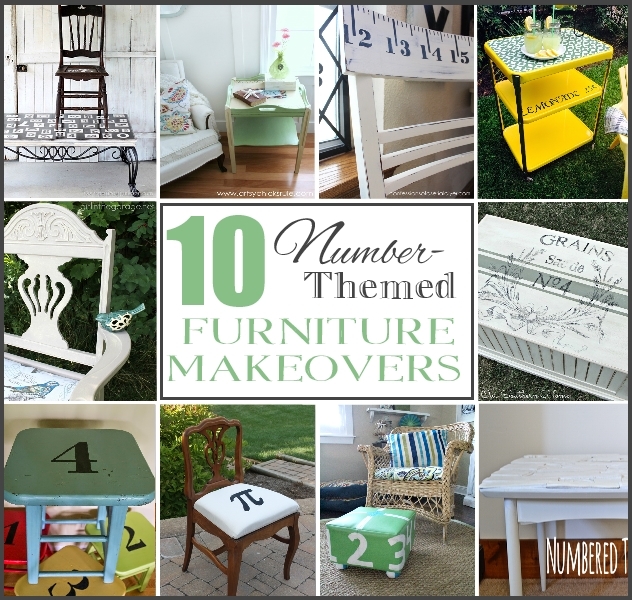 Are you inspired to add numbers to something? Christy this is Awesome!! 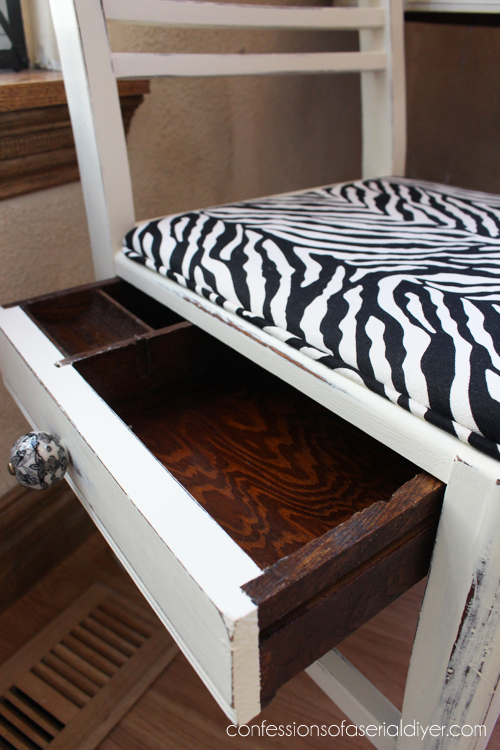 The secret drawer is way too cool but the ruler across the back of the chair is right up my alley. I so want one of these chairs!! Beautiful job! I have never seen a chair like that with a secret compartment! I would have definitely snatched it up too! I love what you did with it. It looks perfect in that corner! OH my gosh…how creative!! I am so impressed!! 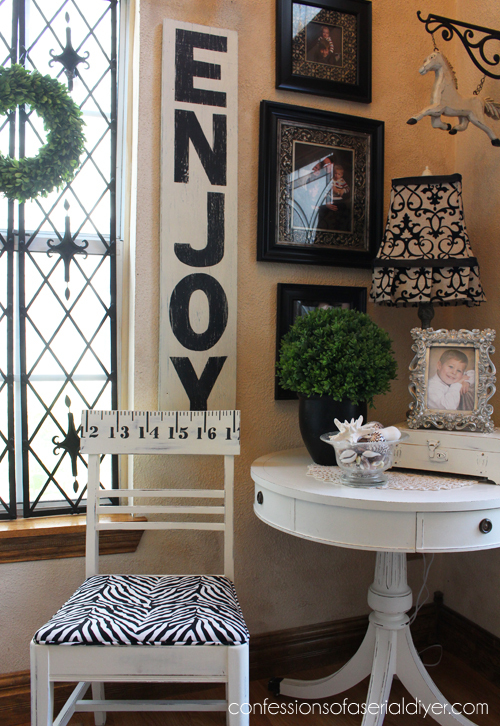 LOVE the measuring tape idea! And the secret drawer..super cool. I’ve never seen anything like it either! Definitely geek to chic! I’ve never seen a chair with a secret compartment! 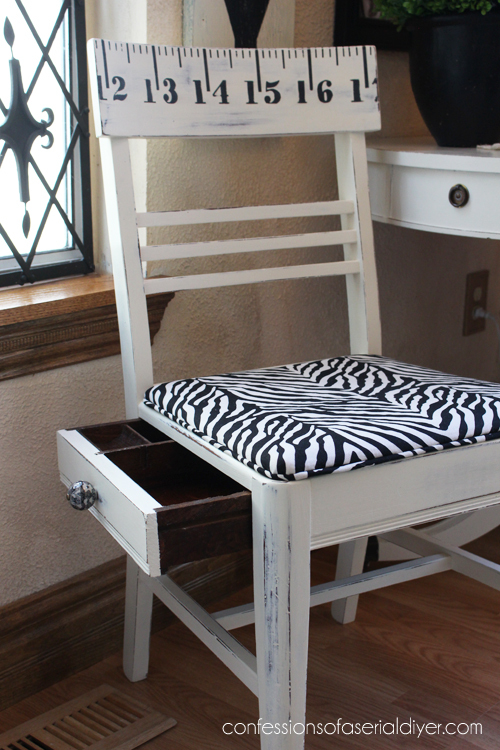 This would be great for sewing or for a desk chair. You do have patience Christy. I would have gone nuts trying to paint those lines. The chair looks beautiful. Oh I just LOVE your little chair — that secret drawer would’ve sold me at any price – have never seen a chair with that before. 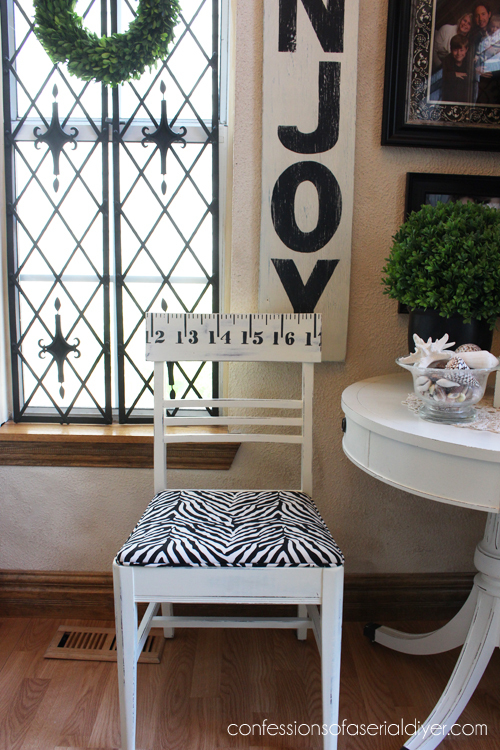 Love the measuring tape – I would NOT have the patience to plan & paint that! 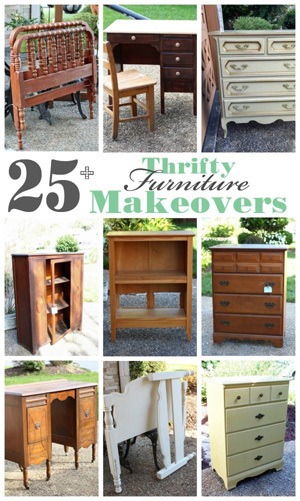 Another fabulous makeover Christy – gosh I love your work! 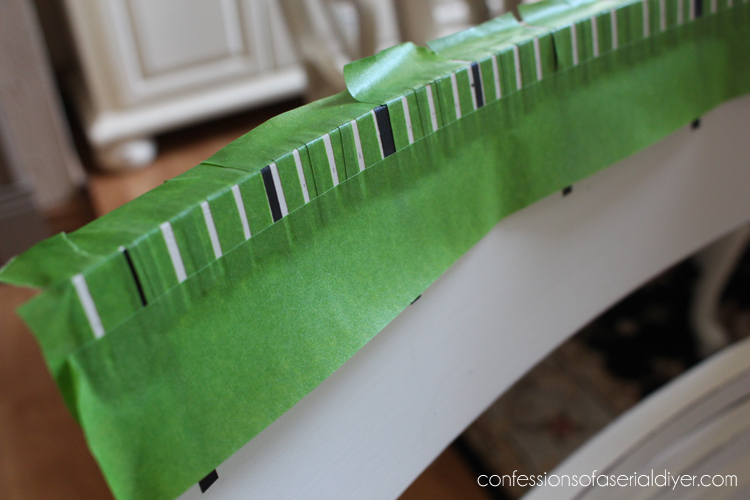 I love the tape measure back and the fabric is perfect with it. Now for that hidden drawer…come on! The knob you choose is so pretty too. 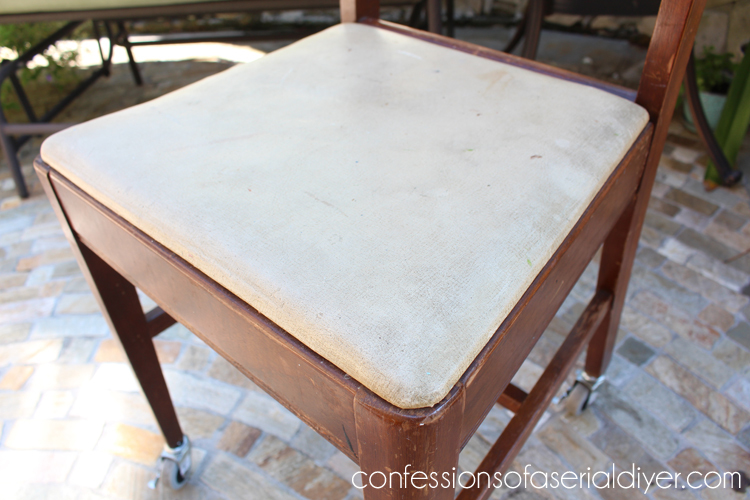 I have a similar sewing chair that belonged to my mother, it has a sizable compartment under the seat. Thanks for the great idea. I think I may actually try to do something with it. This is darling Christy! 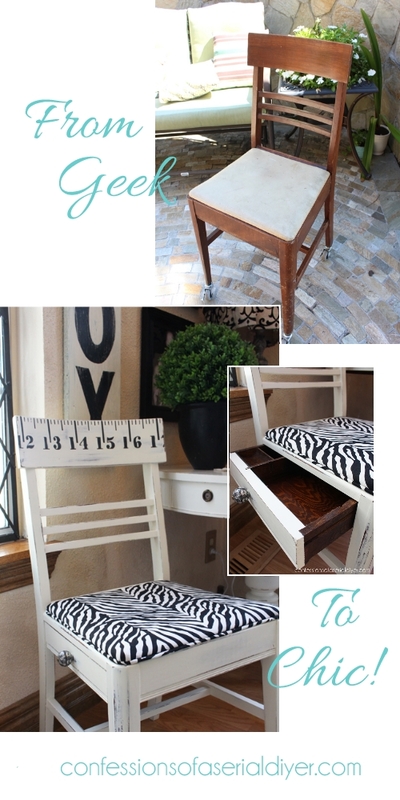 I love the ruler and who would have thought there would be a drawer in a chair? Great job! Wait! What?!? A secret drawer? I have never seen this either. Why aren’t all chairs made with secret drawers? That is too cool! 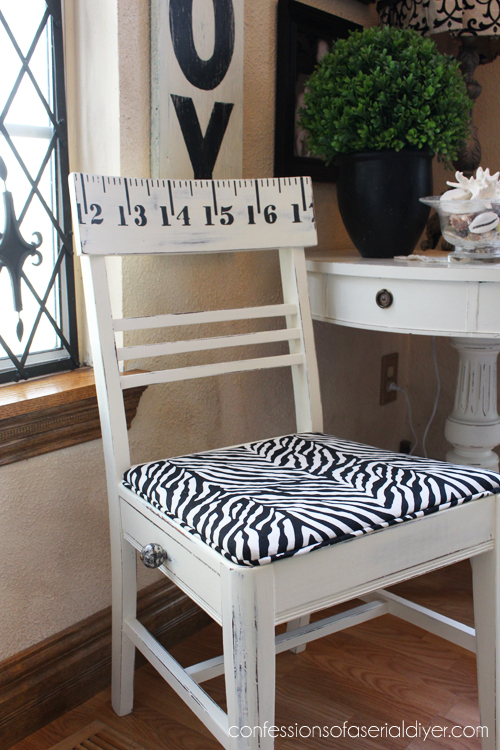 And I have also never seen a ruler painted on top of a sewing chair, and that handle, it is perfect. Christy, I am your biggest fan! It sounds kinda creepy when you read it out loud, but no worries, I assure you. I want a secret drawer chair Christy! I’ve never seen one of those before. You worked your magic and I adore how it turned out. 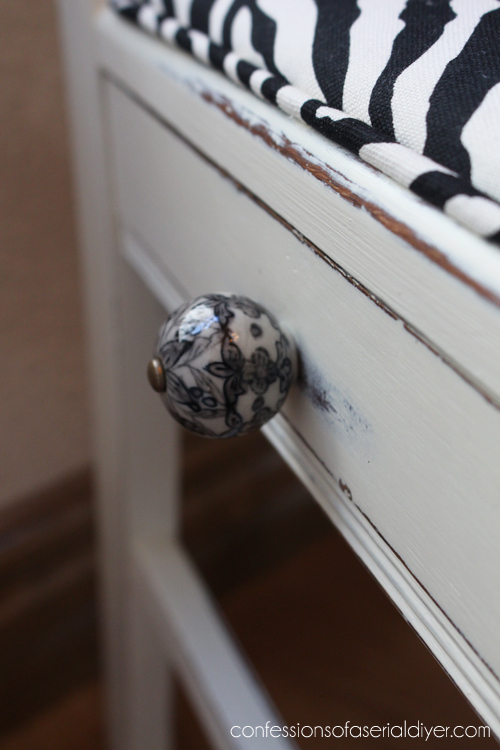 And, how about that beautiful drawer pull… Love it! Your projects are the coolest Christy!!!!! I am soooo jealous of that chair. I want it. I have never seen one like it..
What a fun chair! I love the secret door, and I don’t blame you for wanting to put a stunning knob on it! Thanks, Jen! I really dragged this project out because I was dreading adding the detail I wanted, but then I decided to make it really big and was able to tape it off, much better. 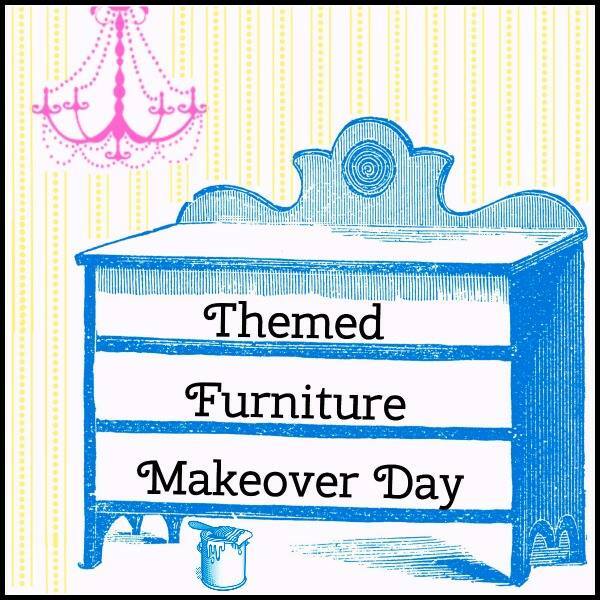 Love our furniture themed days!! Can’t wait to see what you come up with next! That has to be the coolest chair ever!! Referring to the yellow lemonade cart from Curb Alert, I just bought one like that a couple of weeks ago in great shape with wooden wheels for $6. Great idea! Thanks, Christy! And yes I totally would have left it behind if it weren’t for that drawer. Then she said $5. Sold! Too cute Girlfriend! 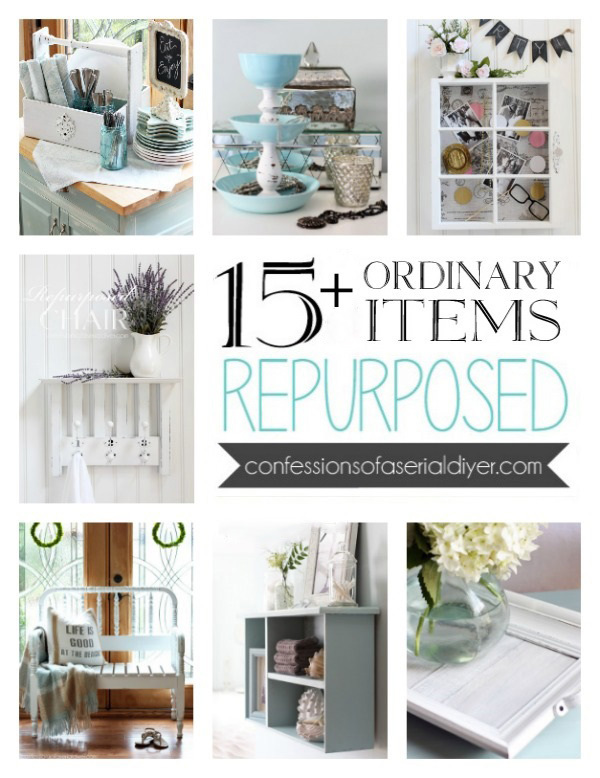 Love your secret drawer too..OK, maybe now not so secret! Your ruler idea is so original too! Can’t wait to join you gals in next months fun line up! Love it!! Wish I had the room in my house to copy all the fun things you do!!! I came back for a second look. That ruler was a lot of work Christy! This is absolutely fabulous! 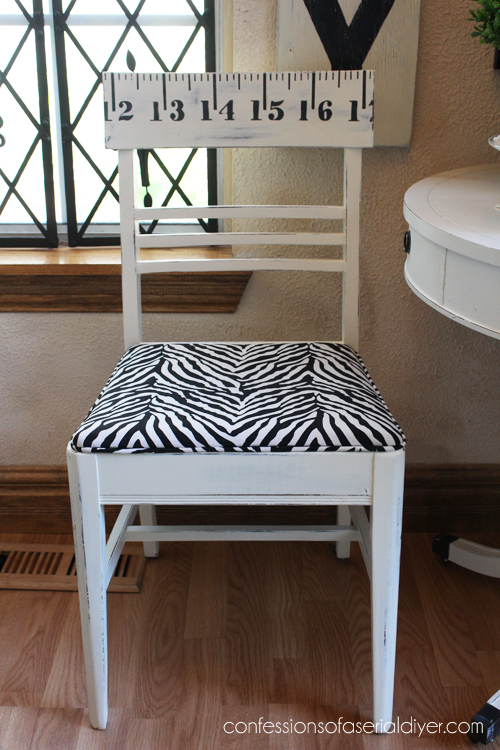 I am so impressed with your careful redo of this sewing chair…want to find one of these pronto!! Thank you for sharing! 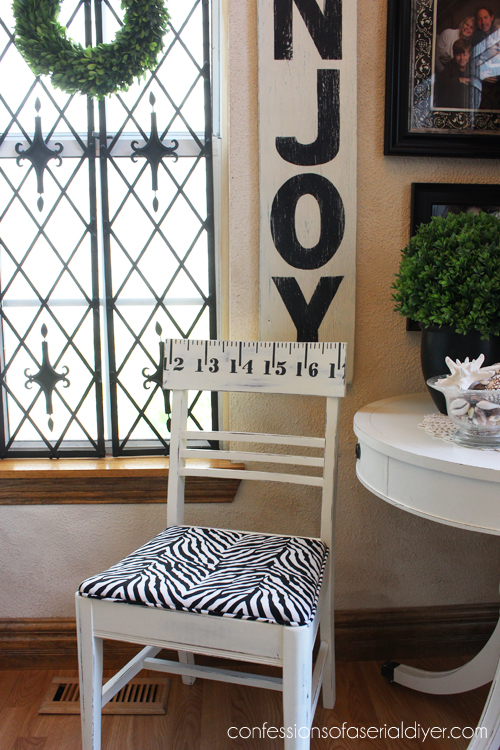 This chair is super adorable and I love the top of it with the measuring tape design!! 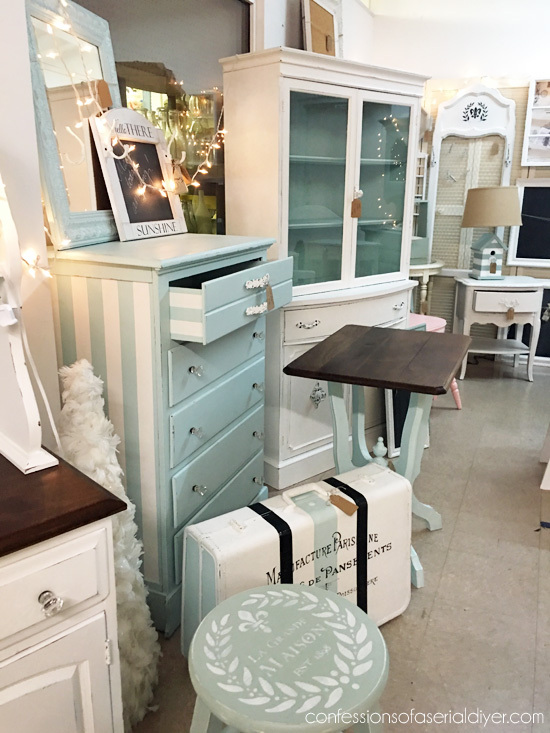 Love the chair with the drawer! 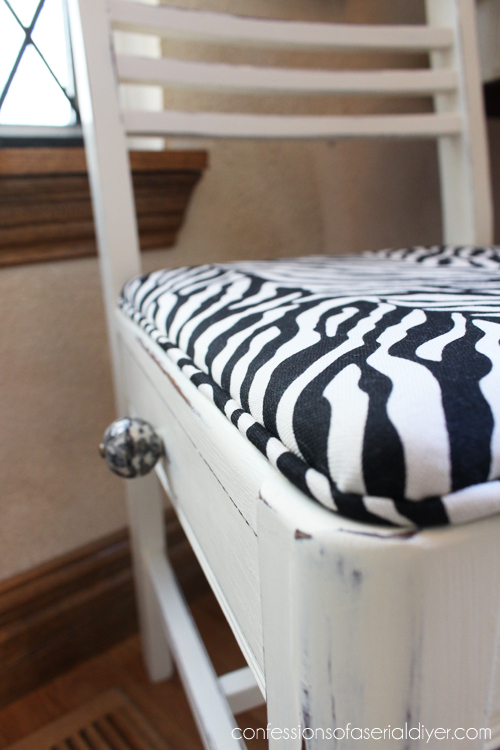 Perfect for a sewing chair! 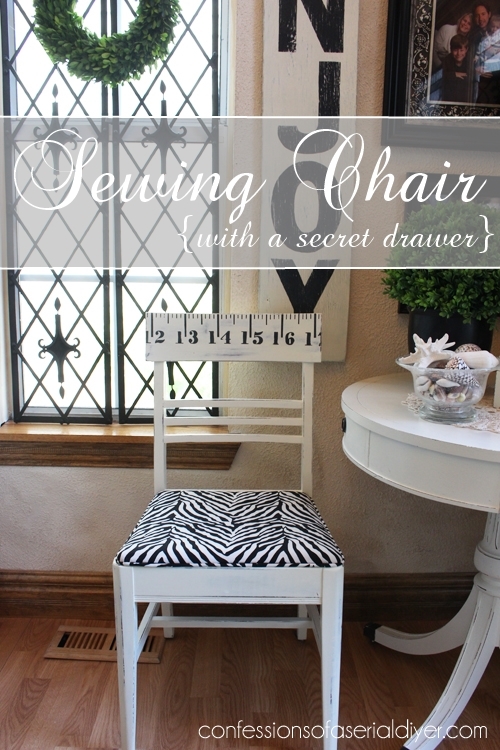 Oh I love your sewing chair, it is so cute! You did a really great job on it. 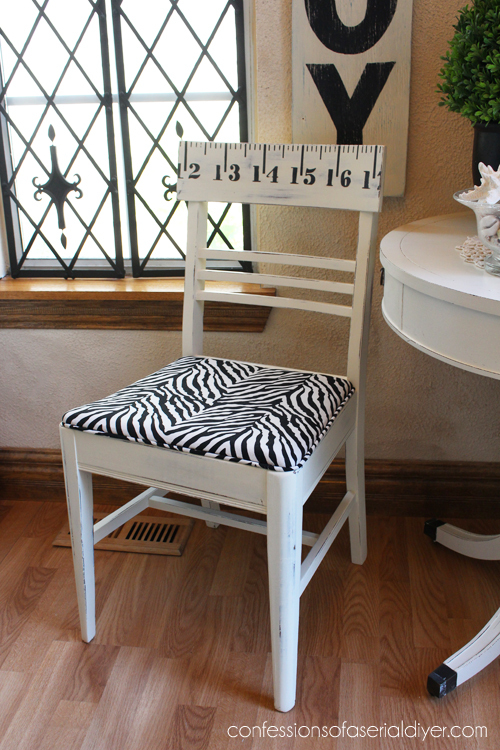 I love the zebra print and the measuring tape paint job for the back. Very fitting for the chair. I haven’t ever seen a chair with a drawer, or even heard of a sewing chair. It’s really neat. Thanks for sharing your beautiful makeover. I actually just bought this same chair a couple months ago!!! It’s a horrible green right now, and I’m using it as a Vanity Chair. 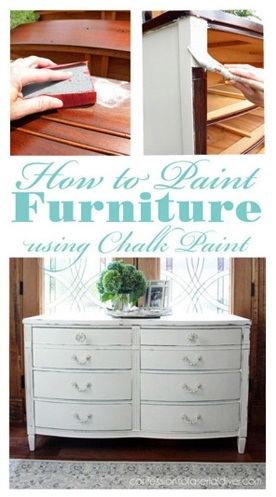 Whenever I get a moment I am going to repaint the entire Vanity and Chair together to be super wonderful 🙂 Thank you for possibly letting me know what it’s true purpose was though!